Nike Dunk High Pro SB "Pee-Wee Herman"
9. 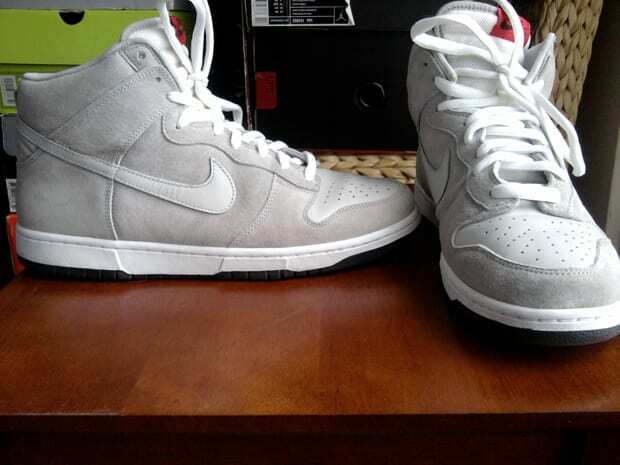 Nike Dunk Pro High SB "Pee-Wee Herman"
Fred says: "I'm not a big Dunk dude but if one catches my eye, I'm on it. These mos def caught my eye. A shoe that's simple but not plain. And the material used on em? Soft as a newborn baby!"